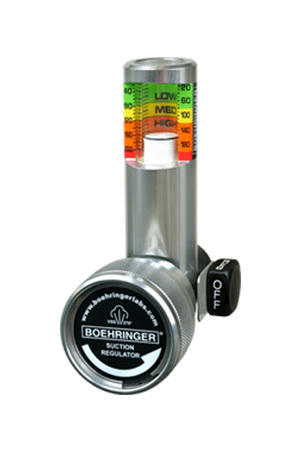 The new 3800 Series Suction Regulators are supported by a 12-Year Warranty. The 3800 Series of products feature technological advances that protect the interior regulating mechanism from flooding and contamination- the most common cause for regulator failure. This innovation gives the regulator extended life, which allows us to provide trouble free operation for the length of it’s 12-Year Warranty. I can't begin to tell you how durable your suction regulators are. Appropriate for hospital-wide use for suction therapy procedures needing continuous suction including closed suction, deep suction and oral care. Areas of use include: Critical Care, Emergency Room, and Inpatient Acute Care; Extended Care and Skilled Nursing Facility Care; Surgery Centers and Ambulatory Care.